Posted on Tuesday, August 20th, 2013 at 9:54 pm. Can you seriously believe that it is back to school time? Whether or not you have kids returning to school, are the kid returning to school, or remember the days ofschool erasers and pencils, we've got an assignment. And just for some inspiration, Ali Sue Kanouse, a BlogPaws Community member, shares her cutie pie above who looks oh-so-ready for learning! 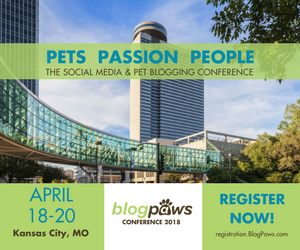 Hey, don't forget to bookmark BlogPaws, cutie pie! Visit and leave comments on other blogs to make some new buddies and maybe some new followers. Want to see your pet featured? Join our free BlogPaws Community and share your photos! We select our BlogPaws Wordless Wednesday pet from the photos in the community each week. Ali Sue, your baby is adorable. Perfect picture. Happy Back to School WW!. The children in the southeastern U.S. have been back to school for a week or so already. Can’t believe it’s back to school time already! Where has the time gone?